Swedish composing trio "The Family", comprised of Joy Deb, Linnea Deb, and Anton (Malmberg) Hård af Segerstad, have quickly risen in the ranks to become one of the most prestigious teams in the Swedish scene. Their compositions have garnered increasing amounts of attention over the years, and whomever they are announced to be attached to for Melodifestivalen draw an extra layer of attention simply by having their names attached to the song. 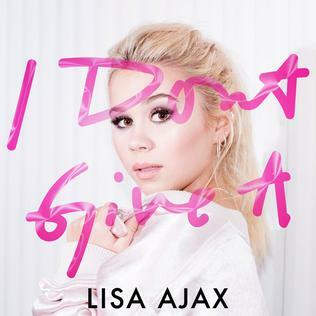 In this year's Melodifestivalen, they have two competing entries, Lisa Ajax's "I Don't Give A" in semi-final 2 and Loreen's "Statements" in semi-final 4. "I Don't Give A" has fed the thirsty Swedish tabloid reporters with faux-outrage pieces about its use of F-bombs. "The funny thing about that is that Swedish radio/television never censor anything," says Segerstad. "We hear all the bad words from all the American artists and all the international artists. But of course, you have to pick up on something from this week and that's one thing. It's like three moms from last week that were like, 'Oh! They said Melofuckingdifestivalen', and they blew it up and made a big fuss about it. It's very overblown." They also reveal that the song was already in the Melodifestivalen machine before the lead to the 2017 contest. "Last year it was close to getting in the show, with someone else," says Joy Deb. There is great mystique surrounding Loreen's entry to the contest, having not only won both Melodifestivalen and Eurovision during her last go in 2012 with "Euphoria", but there has also been significant demand and upset from her devoted fanbase due to the lack of a new album since her 2012 album "Heal". Joy Deb promises that it will be "really different from Euphoria". Segerstad adds, "I think people are gonna love it or hate it. It's a different style. It's not a weird song, it's still a pop song. We still have a great chorus and great verses, it's structured." "It's a little darker, maybe, heavier," adds Joy Deb. The tempo is said to be hovering around mid-tempo at approximately 105 BPM. "It's not political, but it's close to [it]," says Segerstad of the song's meaning. "I think it's involving a song where everybody has a place and the word 'Statements' has real meaning to it. We discussed writing it more political than we did but we also knew that it's really hard because you're on [the] borderline of going too far and then it gets in people's eyes like you're pointing fingers. We didn't want to do it so I think we made it kind of generic but with a strong message."